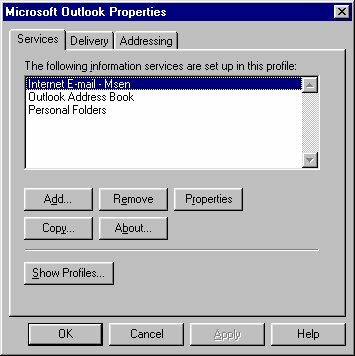 To setup email under Microsoft Outlook, go to the Control Panel. In there will be Mail and Fax. 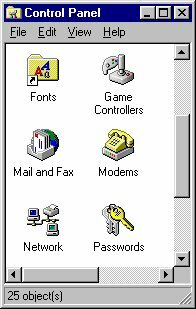 Double click Mail and Fax to start the email setup. If Internet Email is not listed, go to Add... to add it. Otherwise, highlight Internet Email and select Properties. Now, fill in the fields. Red information is account specific. 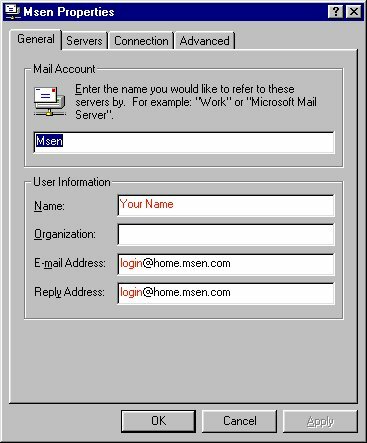 Black information is standard across all MsenLite accounts. 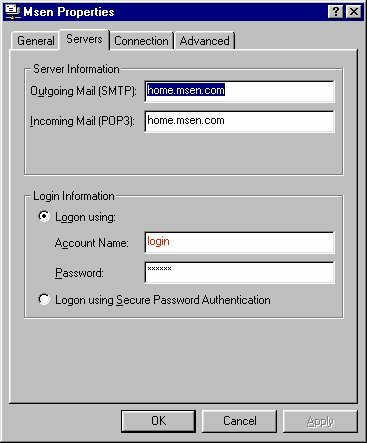 The login should not contain a leading L.
Then select the Servers tab and fill in its information. 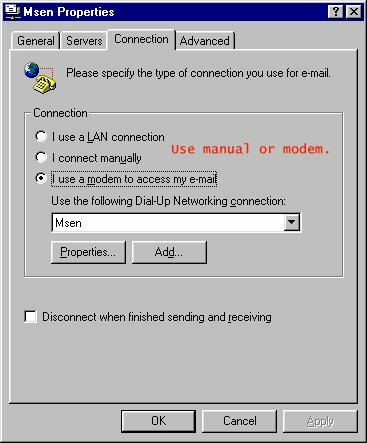 On the Connection tab, "connect manually" or "use modem" can be checked. On the Advanced tab, the "Leave a copy" should be unchecked. If checked, the "remove from server after" should be set to a low value. 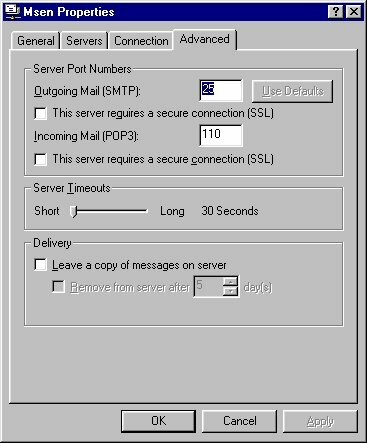 You have 5 megabytes of disk space for mail on the server. A large value may cause the mailbox to overflow. That covers all the defaults for Microsoft Outlook.